It is fifth versus fourth in this Group C game which means the last qualification spot from the group could rest on this game. The home side’s great defence has been integral to their chances but they really need to take better advantage of the opportunities that they create. 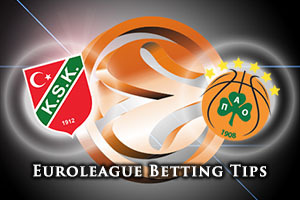 As for Panathinaikos, the Euroleague legends have struggled badly this campaign. Joe Ragland has been the top point scorer for Pinar so far this season and they will need more from him if they are to stay in contention for a Top 16 spot this season. Justin Carter is another player who has sparkled at times for the home team this campaign and if delivers a good game, there is a strong chance the hosts will come out smiling at the end of the game. Pinar’s strength is found in their defence but they rank 21st in scoring, so they’ll need to remain resolute at the back of the court while improving their offensive display. 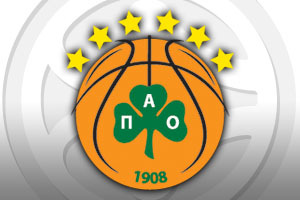 The showing of reigning Euroleague champions Real Madrid has overshadowed the poor showing by Panathinaikos Athens this campaign but the Greek giants should be performing a lot better than what they have been this season. They have performed well at steals and assists, sitting second in the rankings for both of these attributes, but when it comes to turnovers and rebounds, the team from Athens sit at the bottom of the table! James Gist has been in excellent form this season but you would expect more from players like Dimitris Diamantidis and Nick Calathes. If these players hit form on Friday, an away win is very likely but they haven’t performed in the manner that they should often enough this season. The bookmakers are struggling to split these teams. Home advantage is being cancelled out by the experience of the team from Athens. With this in mind, you should look to back Panathinaikos Athens with a +1 handicap at odds of 1.90. If you are looking to the Over/Under market, you will find that going OVER 149.5 at odds of 1.90 is likely to be a decent bet. Bet Now!